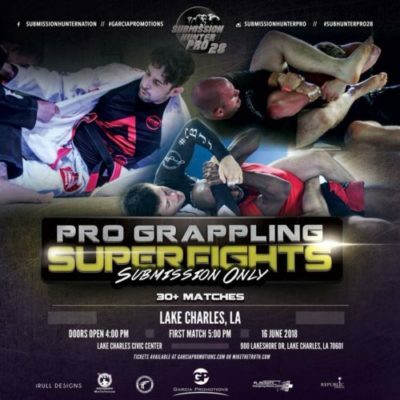 Submission Hunter Pro returns to Louisiana on Saturday, June 16, for Submission Hunter Pro 28. The event will be held at the Lake Charles Civic Center, and will be the first trip to the city of Lake Charles. All Submission Hunter Pro tickets can be purchased here at MikeTheTruth.com. Select your favorite grappler so they will get credit for the ticket sales.